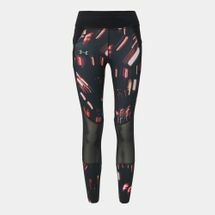 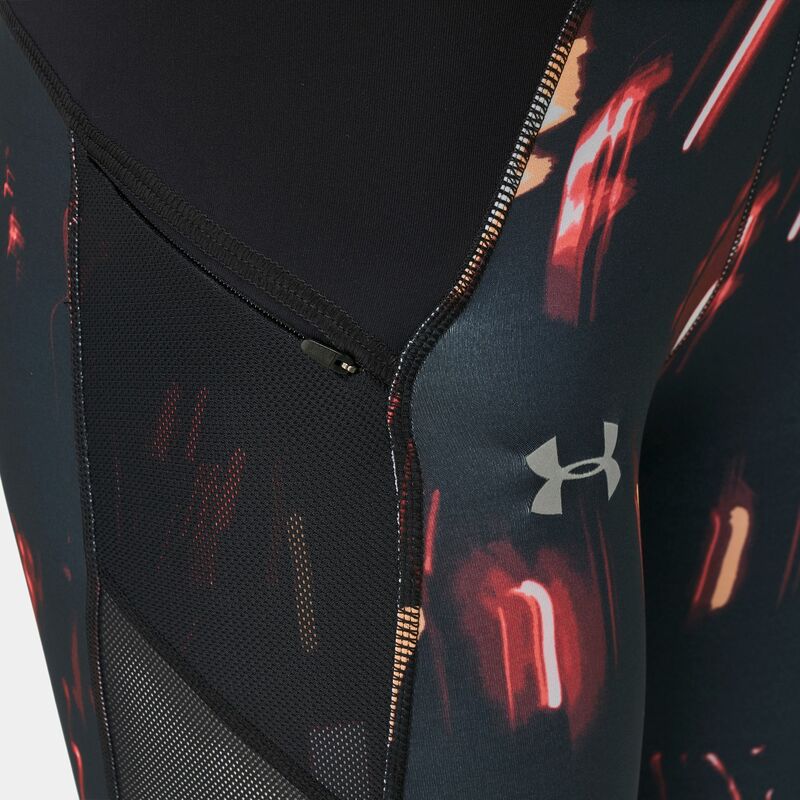 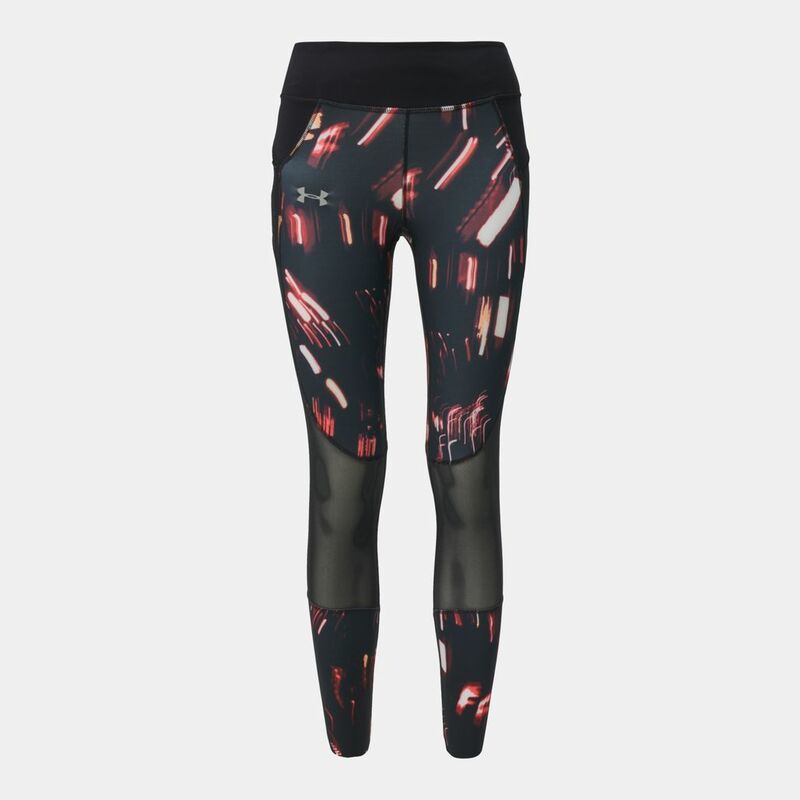 Work it out with Under Armour Speedpocket Run Printed Crop Running Capri Leggings for women. These compressive tights wick sweat fast, has anti-odour technology, has 4-way construction for stretch and wide elastic waistband for support. 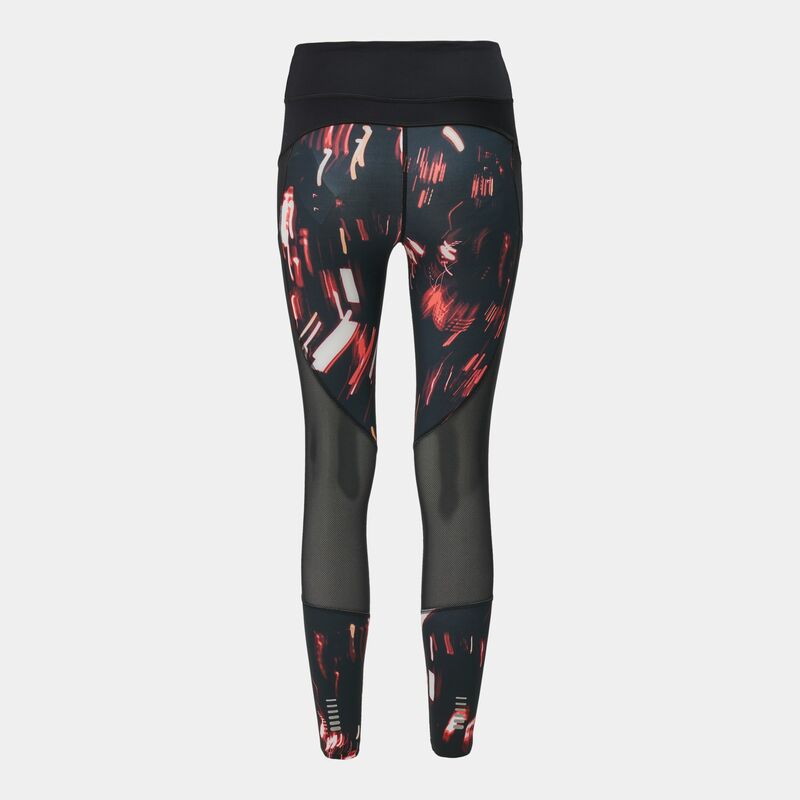 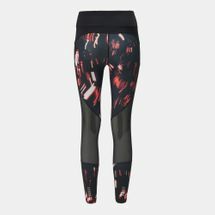 These leggings have zip side seam pockets and front Speedpocket to secure your items.